This little guy was my weekend project. 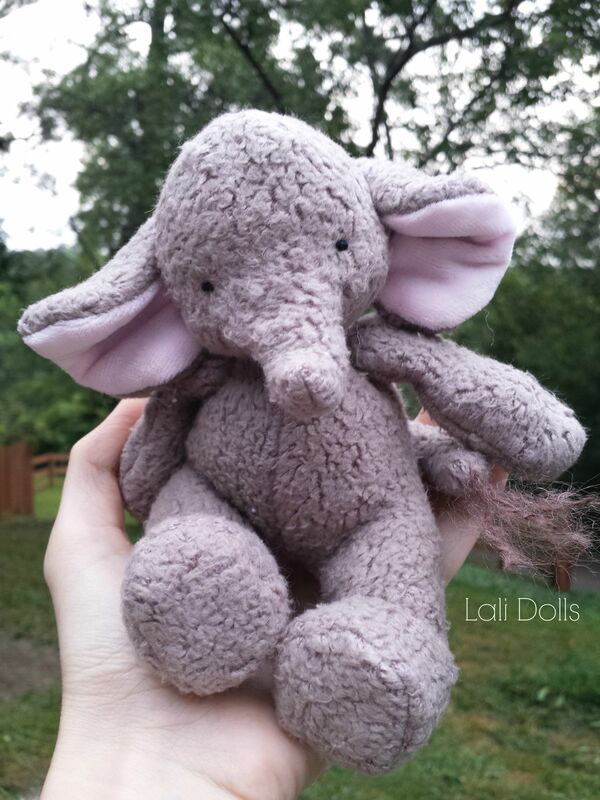 I’ve had a few requests for a mini elephant, so here he is 🙂 His name is Eli, he’s approx. 7″. He is filled with wool, glass sand (contained in sewn bags) and glorex fill. His fur is 100% organic cotton. Eli is $125 + shipping (USA shipping $16, Canada $35, other $40 any overcharge of shipping is refunded). If you would like to purchase Eli, please leave a comment below. Tomorrow, I will do a random drawing to choose a home for Eli. My grandson, Eli, would just love an Eli he can take care of. Oh I’d love for my little to have him! I love Eli the elephant. I would love to adopt her! He is perfect for my son. SO cute!